Whether it be from friends, or in my online shopping for cars I can’t afford, the “tune-up” gets me just as flustered every time. Allow me to explain: Like many things in life, car ownership is not a one-and-done ordeal. Setting aside the inevitability that you shell out for things like insurance, finance payments and registration fees, it’s more than likely that you’ll have to break open the piggy bank to fund the upkeep of your vehicle. Wrong! It’s my unpleasant task to inform you may have been hoodwinked—or perhaps bamboozled—by whomever you’re trusting to take care of your car. Let me explain why. I suppose it’s important to clarify though that the term tune-up wasn’t always just a go-to explanation for shady mechanics. 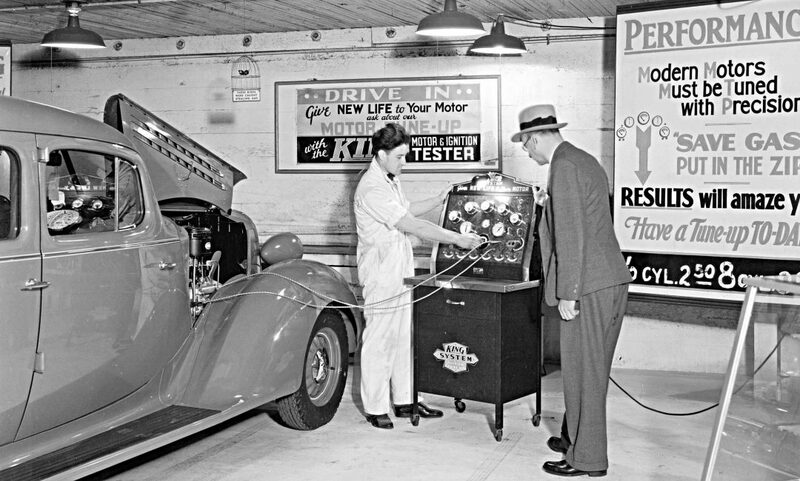 Before the modern era of the automobile, the tune-up was a perfectly legitimate service procedure. 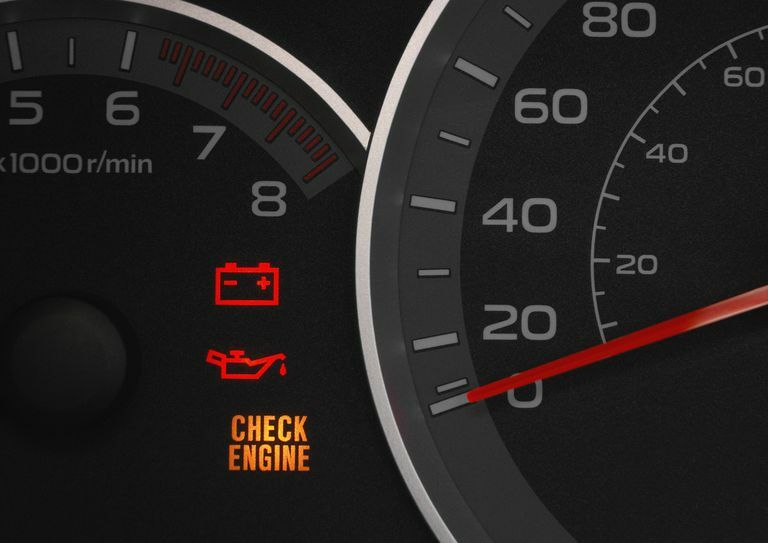 Because engine management wasn’t entirely controlled by computers like it is now, it was necessary to have a tune-up performed every so often to keep your car running properly. For example, older cars used a carburateur to deliver fuel to the cylinders. Carburateurs were not electronically controlled, so they required small mechanical adjustments to things like idle speed and air ratio. For the most part, these adjustments were set-it-and-forget-it, but every so often they needed to be tuned up. Additionally, carburateurs were prone to residue buildup and had to be cleaned out occasionally. Carburetor adjustment and maintenance wasn’t the extent of the tune-up though, as older engines relied on ignition distributors to ensure that a proper spark was happening during combustion. Within the distributor were contact breakers (aka points) that controlled the electrical current that powered the ignition system. These points wore out over time and needed to be replaced. So while there was more to tune-ups than carburetor and ignition adjustment, the tune-up was a legitimate service back in the day. So why isn’t it now? Well, as you may have noticed, modern cars no longer have the mechanical parts that used to require tuning-up. Carburateurs were replaced by direct fuel injection, and ignition distributors were replaced by coil-on-plug ignition systems. The modern car simply doesn’t need tuning up. That’s not to say it doesn’t require maintenance; it just doesn’t require the type of maintenance that’s implied by the term “tune-up”. Now with all that being said, I’m sure that you’re asking “Is there such thing as a modern tune-up?” As in, a regular-interval service that is required to keep your engine running smoothly? The answer, thankfully, is no—there is not. Modern cars perform all the tune-related adjustments necessary to keep them going, using their electronic engine management systems—so the only thing we spoiled, modern-day car owners have to tend to regularly is routine maintenance like oil changes and air filters. Lucky us! So if there’s one takeaway from what you’ve just read, let it be this: as a car owner, it’s important to know exactly what’s being done to your car when it’s being worked on by professionals. And you should start to get suspicious as soon as you hear the phrase “tune-up.” You wouldn’t let a plumber come in to fix your leaky faucet and pay for a charge billed as “faucet motor replacement” would you? Of course not! It’d be silly to pay for a service that doesn’t exist, and the same principle applies to your car. So don’t be afraid to ask questions. 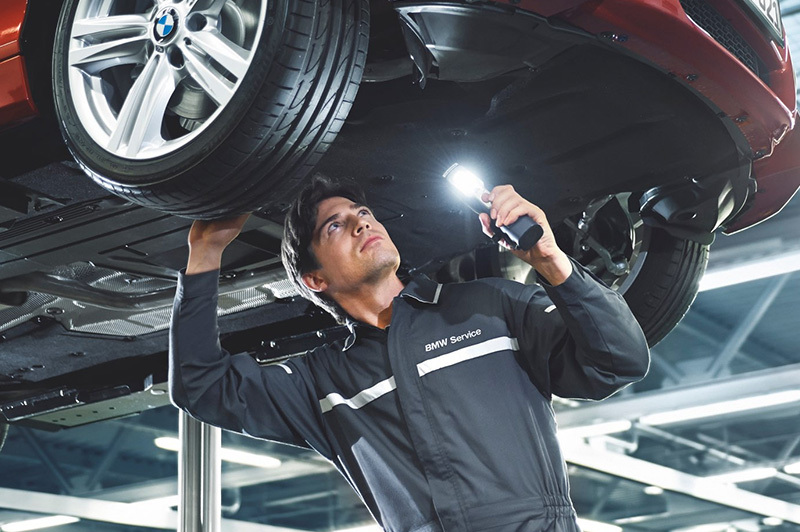 Most mechanics and service advisors will be happy to explain what’s going on—and if they’re not, you may want to take your car elsewhere. But wherever you take your car for maintenance, it’s in your your best interest to be well-informed, and to understand what they’re doing to your car and whether it’s truly necessary. It might just save you money—and headaches, too! It’s the most wonderful time of the year (to buy a car.) Or is it?